Safety isn’t just about engineering, it’s about people. At Toyota, safety isn’t just about engineering, it’s about people. And we try to remind ourselves of that every day. For example, we had one driver who was in an accident with his family in their Sienna. They felt the safety features of the Toyota they were driving helped save their lives and they wrote to thank us. We brought them in to the Toyota plant to meet the team members who built their car. ​To this day, everyone who met them remembers that safety is more than features. It’s more than engineering. It is the lives of the people who drive our cars. 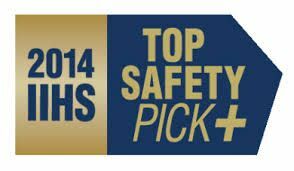 And it’s this knowledge that has led us to build 16 vehicles that were named “Top Safety Picks ” by the Insurance Institute for Highway Safety in the past two years (2013 and 2014).